At Inquiry Hub we use The Points of Inquiry model by the BC Teacher Librarian Association to help students delve into topics of their own interest. This model is flexible in that it does not prescribe a process, but rather it allows students to have a common language around how they make connections, investigate, design and construct, present and express, and reflect on their learning. 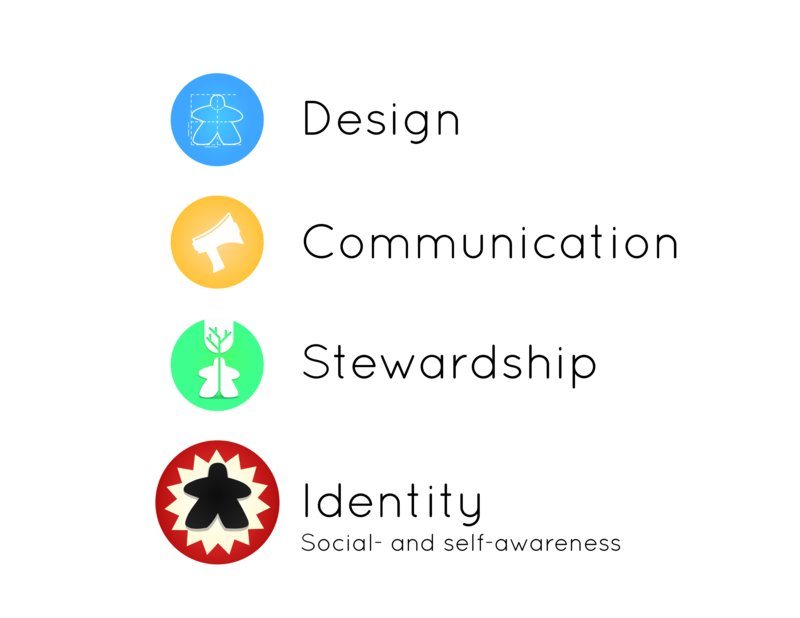 While we use this model as a frame, the Inquiry Hub brings students together in a technology-facilitated environment and encourages them to explore questions from four key nodes (or lenses): Identity, Stewardship, Communication, and Design. This model is used in developing cross-curricular themes and projects, that teachers work together on, in order to provide students with engaging topics to explore. In doing so, students have an opportunity to tie in their own interests, and share their unique perspectives in ways that help other students make new connections and develop new understanding about the topics. Inquiry based learning is a key tenet of Inquiry Hub. When students choose their own topics, with guidance and support from their teachers, peers and community members, these learners will produce thoughtful, rich and compelling answers. By helping students connect, dream, create and learn together, we will encourage them to look outside of the box and seek a world of potential. When students explore their interests in-depth, they will often discover insights worth sharing with others. At Inquiry Hub, we believe that an integral part of learning is the ability to share what you’ve learned with others in meaningful ways. Be it a presentation to a small group, the entire school, the local community or online with the world, we work with students to craft their message in thoughtful, well-represented ways. An important skill to learn is how to ‘write to a specific audience’, and there is no better way to promote this than to give learners a legitimate audience for their work. Through the use of blogs, wikis, digital portfolios and social media tools, we invite the world to be a participatory audience in the work that our students do. Collaboration is a learned skill that is essential in today’s world. At Inquiry Hub, students collaborate on projects that matter, in many different communities. We provide opportunities for projects to extend beyond age-group peers to include younger and older students, parents and teachers, community members, subject area experts, and students from around the globe. At Inquiry Hub, students are not only provided with the opportunity to lead, but expected to do so. From taking the driving role in a class project, to creating a new event or piece of infrastructure to unite the school, students at iHub are constantly using their own initiative to lead the school towards their vision. While cases of this are far too plentiful, and, in an environment like iHub, actually common-day, to list, the Garden, iHub Talks, the Murals, the kitchen and this very website are a few good examples. A key principle in the new learning theory, Connectivism, considers networks to be a central metaphor for learning. The theory suggests that ‘learning and knowledge rests in diversity of opinions’. Inquiry Hub will use a hybrid model that blends classroom, community and online experiences, and so students will be exposed to a multitude of learning networks.